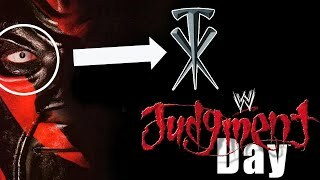 Vince McMahon is judge, jury and executioner in WWE. He's still the number one guy in the creative process, and is the decision maker for who is going to be a winner or a loser on WWE Raw, Smackdown, and Network specials. Often, he'll base his choice of winners or losers on how pleased or displeased he is with certain wrestlers. His reasons for liking wrestlers are usually based on size and look, but there's also been cases of personality impressing upon him. Shawn Michaels was a good example of that, he got on very well with Vince and ended up one of the most pushed wrestlers of the mid-nineties. As for reasons why Vince will dislike a talent, there are numerous! Small size has always put him off wrestlers, mainly because he came up in a time where big wrestlers (Andre, Hogan) made all the money. He's also been prone to disliking wrestlers who came up outside of the WWE machine, and he has little patience for wrestlers who expect good booking just because they did well on the indies. Saying the wrong thing in public is also a guaranteed way to get on Vince's bad side. He's ultra-sensitive about WWE's image in the modern world. The following are ten current stars who earned his wrath, and are currently doing time in the McMahon doghouse.